Child4-11 years old. 3 and under are free. 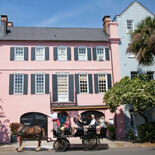 Obtain a unique insight into the 300-plus year history of Charleston as you travel along the cobblestone streets in a horse-drawn carriage. An entertaining guide wearing a Confederate uniform regales guests with interesting facts and humorous tales. Founded in 1670, Charleston has survived hurricanes, tornados, fire and war. Once considered the cultural center of the New World, Charleston is still a popular destination that attracts millions of tourists each year who want to experience the elegance of a bygone era. 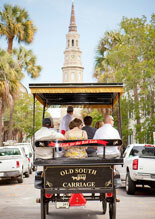 Old South Charleston Carriage Tours invites you to travel back in time where you will learn about the city's rich and unique history. This relaxing tour is one of the best ways to see the Holy City, which encompasses some of the most well preserved architecture and gardens from the Colonial and antebellum eras. The 50-60 minute narrated tour travels approximately 2.5 miles as it covers 30 blocks of the historic district, where you will view landscaped gardens, antebellum mansions, churches and other treasured landmarks. Once the carriage departs the stable at 14 Anson St., the specific route is randomly assigned by the City of Charleston. All carriage companies are governed by the same system in order to disperse the carriage traffic more evenly throughout the city. 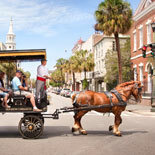 Operating the best fleet in the city and offering the best carriage ride available, this tour is a great way to see many of Charleston's wonderful historical and cultural attractions. The four-row, surrey-style carriages are drawn by Percheron and Belgian draft horses, Charleston's best-trained and cared for horses. The carriage's canopy top provides shelter from the sun, which makes the unforgettable trip more comfortable. Obtain an eTicket today to step aboard an Old South Charleston Carriage Tour for an entertaining and educational trip back in time and have the Holy City's rich cultural legacy come alive. Daily. 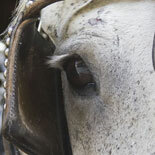 Carriage tours depart every 20 minutes from 9:00 am- 4:00 pm. Day Lights Savings time 9:00am- 5:00pm. Closed Christmas Day. Child Ticket: 4-11 years old. 3 and under are free.